The course is a high-profile and limited-numbered training experience, which allows the acquirement of knowledge and great practical skills to properly make a gluten-free pizza. A course that allows the learning of various techniques of kneading and cooking in order to make bread in a pizzeria, to offer customers a quality and exclusive product every day. The course is carried out in cooperation with Le 5 Stagioni. 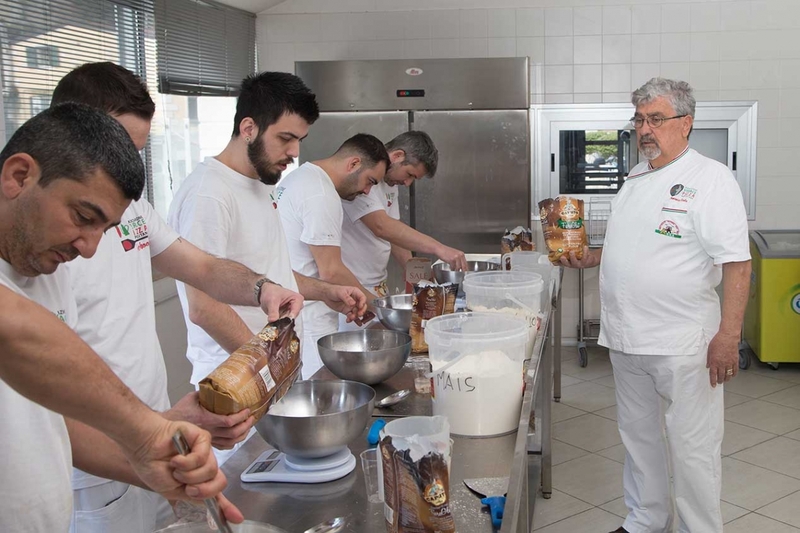 A training masterclass led by the Maestro Pizzaiolo Salvatore Santucci, that allows to acquire competence and high skills about the making of “Verace” dough with 00 flour and also learn how to use other kinds of flour. The course is a high-profile and limited-numbered training experience, which allows the acquirement of competence and high practical skills about the baking of True Neapolitan Pizza. A high-profile and limited-numbered course led by the AVPN's Instructor Salvatore De Rinaldi that allows the acquirement of competence and great practical skills about the realization of the classical fried food belonging to the Neapolitan gastronomic tradition.